During Alexa�s comeback season, she scored 21 goals and dished out 8 assists. She has participated in all drills and games and has played around 70 minutes per game. 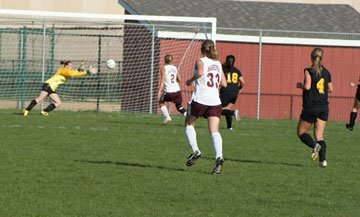 She scored in 13 consecutive matches tying her for 5th on the IHSA all time record list. She was a unanimous all-conference selection.